Electric Machine Control has wide-ranging experience in providing superior control systems for the Water & Wastewater Industry. Electric Machine Control solutions are implemented in today’s environment of heightened security requirements, limited personnel, multiple regulatory compliance demands, and integrating with existing legacy control systems. Electric Machine Control Water & Wastewater Solutions include full Electrical Design, Application Engineering, Programming Services, Graphics, Control Panel Fabrication, RTU Fabrication, and Drawings/Documentation. 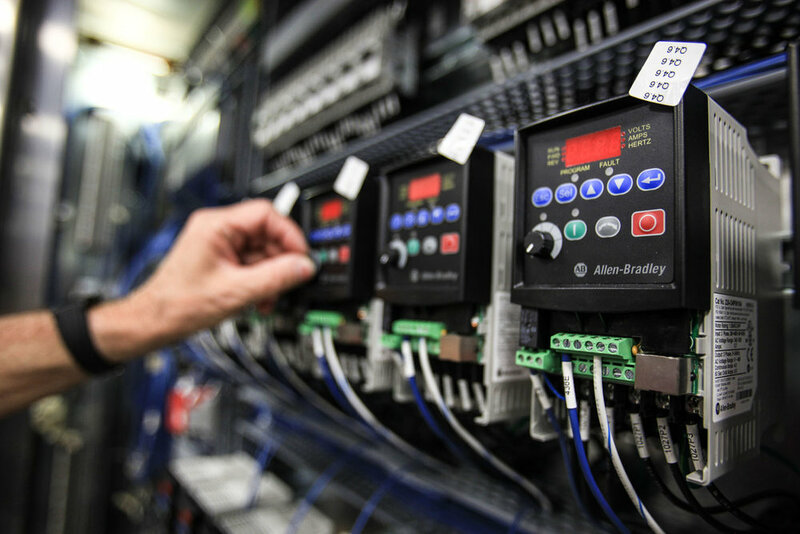 Electric Machine Control’s cost effective control solutions allow Water & Wastewater Utilities to meet their expanding System demands in capacity and production levels while providing reliable service to your customers. EMC solutions utilize standard industrial control components, PLC and HMI programming is open architecture design, and is always non-proprietary and fully expandable.